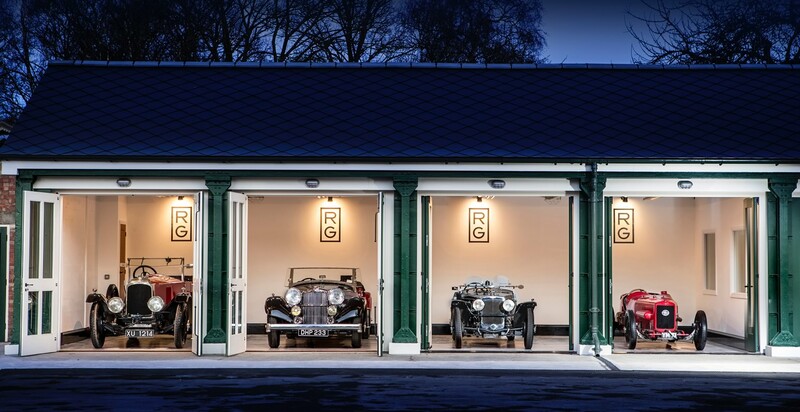 Established in 2013, Robert Glover Limited has rapidly earned an enviable reputation for successfully presenting and placing significant, desirable and highly original motorcars for sale to an international collector client base. With the knowledge, experience and ability to highlight the individual benefits and history of each example offered, Robert Glover Limited enables both seller and buyer to make informed decisions regarding ownership and collection. Robert Glover Limited specialises in the sale of historic sports and competition motor cars. Although there is a leaning towards the sale of pre-war motor cars, the company also caters for road-going sports cars that were produced between the 1940s – 1960s and competition motor cars from almost any era. The company works on strong long-term relationships to further its reputation for integrity and enthusiasm. 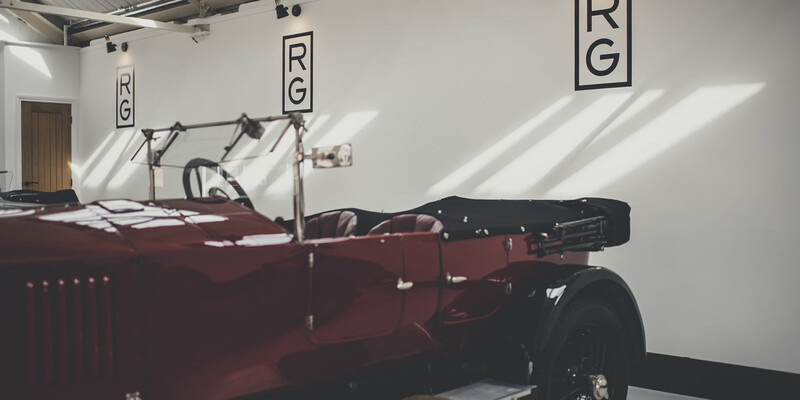 Well-known for dedication to the use and enjoyment of vintage and classic sports cars in every field, Robert Glover Limited leverages an extensive network to enable us to source and sell the very best historic motor cars. 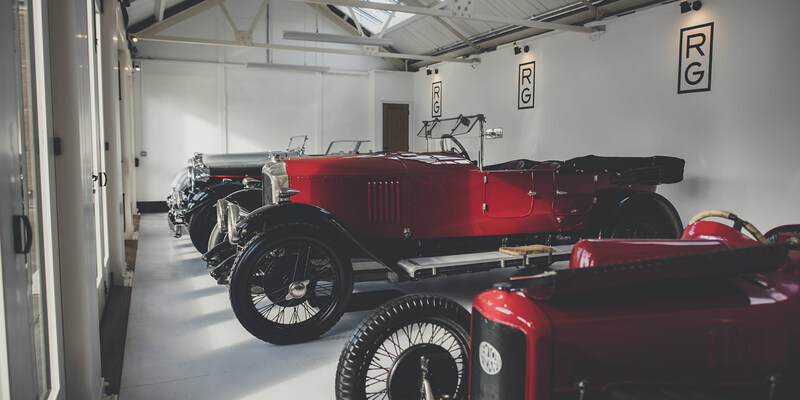 The company showroom is located at Bicester Heritage in Oxfordshire, a venue dedicated to vintage motoring and aviation businesses for enthusiasts. This last remaining intact, pre-war former RAF station is conveniently situated within an hour of central London and is easily accessible from Heathrow, Birmingham and Luton airports via rail or road. Light aircraft and helicopters can fly in directly by arrangement. Being very nearly the central point of England, Bicester is easily accessible from most parts of the country, and only about 15 miles from the Silverstone Grand Prix circuit. The showroom has moved from the original location in The Power House and is now based in The Motor Bays, close to the newly renovated clubrooms and next to the cafe that form the central hub of social activity on the site. “The Motor Bays” were originally constructed for the storage and maintenance of RAF vehicles. Somewhat of a “barn find project” itself, the building has undergone renovation, preserving as many of the original features as possible. 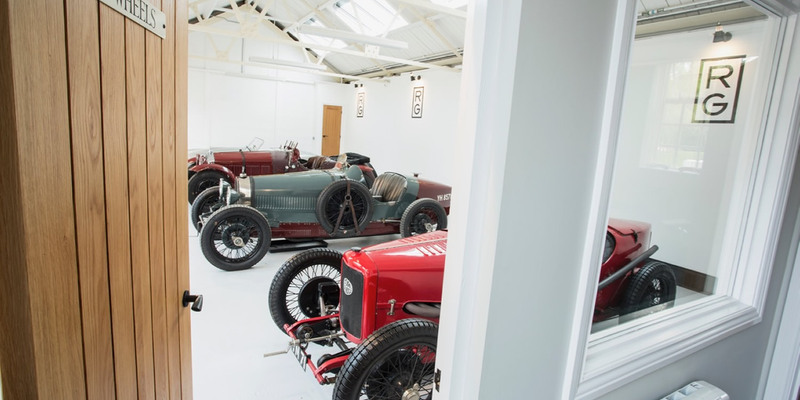 It has been subtly converted into a superb glass fronted showroom space for veteran, vintage and classic motor cars being, as it is, very much of the period.